The Gina Knight Orchestra plays swing music, and pros give dance lessons at St. Alphonsus Lower Church starting at 6:30 PM (till 11:30!) tonight. The event also includes hors d'oeuvres, buffet, dessert, wine, beer, soft drinks, and coffee. And a silent auction. All to benefit Lakeview Pantry. Tickets are $50-$60. 1429 W Wellington. For more information, contact Angela Joyce at 773-525-5613 or email her at angela[at]lakeviewpantry[dot]org. The 2007 Chicago International Documentary Festival opens tonight with a screening of the new film In Memorian Alexander Litvinenko, the details of the last days of the Russian dissident and writer, at the Pritzker Auditorium at the Harold Washington Library. The festival continues through Sunday, April 8 at a number of different theaters in the Chicago area. See the festival Website for a complete schedule. Tickets can be purchased through the the CIDF box office at (866) 466-2787. 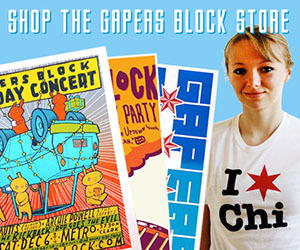 Busker is hosting a music/film combo presentation tonight at the Flowershop (2159 W. 21st Pl., Pilsen). Performances and visuals by Mike Miles, jonsatrom, Alex Inglezian & Tim Shaw, and Noise Crush & The Fortieth Day. 8 p.m. "Free and Open" (I assume that means no admission and all-ages). More information here. Join Lumpen and Version Fest for a spring fashion and performance night entitled "The Secret of the Ranger" at their new space, now dubbed "The Co-Prosperity Sphere" @ 3219 S Morgan. The action starts at 930pm-1am and the $10 cover goes to support this year's Version 07 Festival "The Insurrection Internationale." Designers and performers include Ajax, Alternative Conformity, Faux Pas, Frei, Mizmy, and Mississippi Jackie Hurt. Yep, it's that time again. 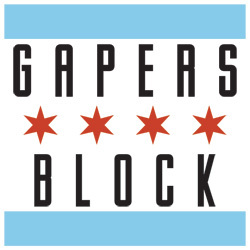 Join Gapers Block staff members at the Black Rock, 3614 N. Damen (just north of Addison) for drinks and revelry tonight from 9pm till midnight. Who knows, we might even play a couple board games! Math rock seems like a terrible genre moniker to have affixed to oneself. Post-math rock sounds even more off-putting. But don't fear. Look into it a bit and you realize that weird, odd-time meters are cool; that rhythmic complexity is a good thing. Look further and discover a band named Battles and then you'll know what I'm talking about. They too are cool, and a good thing. They also are reputed to play an amazing live show. Check them out tonight at the Empty Bottle. No advanced math knowledge required. 1035 N. Western. 9:30 pm. $10.